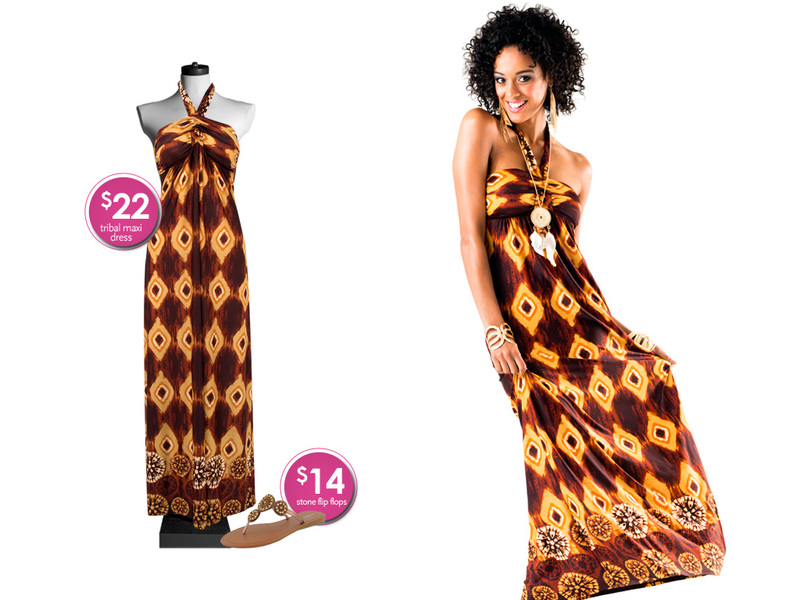 Summer 2011 Dress Trends from Dots Bargain Fashion Stores! From the maxi to the mini, frilly frocks are what every girl wants to spruce up her summer wardrobe. 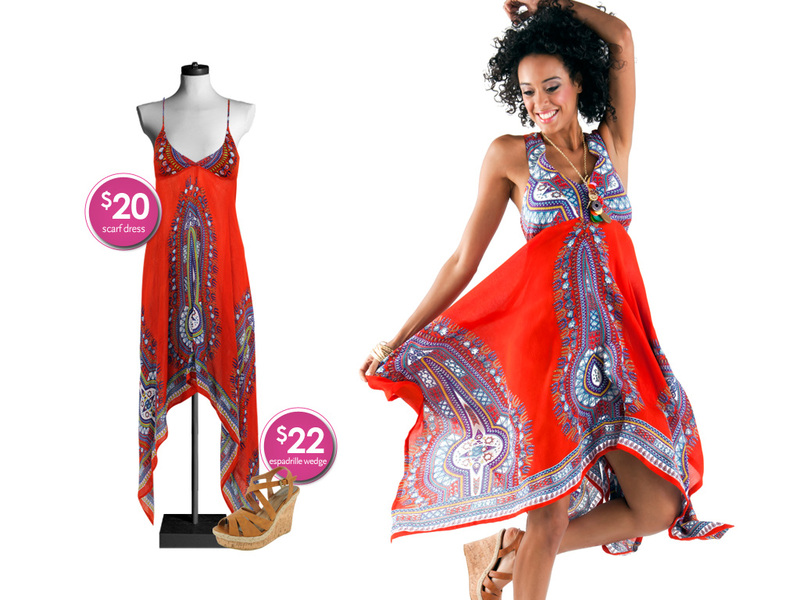 For the latest summer dress styles, Everything She Wants checked out Dots, a trendy bargain fashion chain. Most of the dresses I spotted at the new Dots store at Mondawmin Mall in my hometown of Baltimore, Maryland, were super cute and a steal at only $22 or less. With my Dots gift card in hand, I scooped up a long sun dress with an earth tone, tie-dye pattern that's perfect for my next Caribbean summer-getaway. The store also offers plenty of trendy accessories and I snagged a pair of Ray Ban-reminiscent Wayfarer sunglasses on sale for only $3.99! And if you're in the market for summer sandals, Dots has gladiator, thong and wedge styles galore, all nicely priced from $10 - $22. So the next time you need a little affordable retail therapy, look for a Dots near you.